Pingback: Context is Key: Know the Law! Thanks for sharing! It’s a good reminder to look over the descriptions of the collection before doing a serious search in that collection. In your first example from Ancestry, if you did not find the record that you were looking for, reading the description might tell you why. The description states that clerks filled in death records earlier than 1870 using cemetery records, and if your ancestor happened to be buried in a cemetery that never kept early records, or the records were destroyed, then they may not appear in this collection. Great post! Thanks for stopping by, EvaAnne. It’s amazing what useful info the collection descriptions can have for our research! Great explanation of understanding your source. I really enjoyed the screen shots that help tell the story. I’m always trying to figure out where the images came from and sometimes it’s really frustrating. These huge collections are really a collection of smaller parts. A very detailed, thought-provoking post on how we should use and evaluate records. Thank you. Thanks, Sue! And thanks for stopping by! This is such good information, thank you! 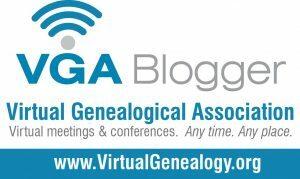 This is a great thing to share with begining genealogists. First, it is fun to track down the answers to the questions. Second, it is educational and informative, you really feel like you are squeezing new information out of the record, because you are. Third, it makes one more aware of the difference between what is an original source, what is a derivative and what is evidence. Fourth, it makes you more aware of recognizing when others have just copied information vs having actually studied the record. Fifth, once you get good at answering the questions, you can understand how to create better source citations. Sixth, it is fun. Great post. Thanks, Michael! I like the added benefit of writing better citations because which of us couldn’t use that, right?! 🙂 Thanks for stopping by!